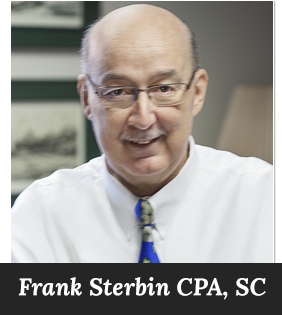 Frank Sterbin and his dedicated staff have been providing premier accounting services to the community of Racine since 1981. Comprehensive and expert knowledge in tax laws and accounting practices ensure your personal and business assets will be protected and setup for positive growth. Services include financial statement review and compilation, tax preparation and planning, bookkeeping, management consulting, and business valuation. Frank Sterbin and his team are based in Racine, Wisconsin and have strong ties with the community. Corporations, businesses, individuals and organizations can expect timely and knowledgeable accounting service from Frank Sterbin CPA.